StepStone employs more than 1,500 people throughout Germany and Europe and operates a number of job sites in other European countries besides StepStone.de. StepStone is one of Germany’s biggest online firms and is part of Axel Springer SE, one of Europe’s leading media companies. StepStone is the leading market place for skilled professionals in all the important occupational fields and at every career stage. Our highly developed search technology ensures that your job ads are found by the right candidates. Summary: Founded in 1996 in Germany, StepStone is a generalist job boards, which has spread around the world so it is accessible in many countries. It specializes in creating customized solutions according to the objectives of different private markets. In Germany, it attracts 11.10 million views a month, which has dropped a fair bit since last year but remains high. On social media, it has a good following, even if social media is not the most success outlet for the German market: 985 followers on YouTube, 741 on Instagram, 7 081 on Twitter and 150 475 on Facebook. The LinkedIn page has 11 104 followers. Design: The homepage is particularly simple. There is a search engine (keywords and the location) and you can tick whether you are looking for full-time or part-time work. The rest of the homepage promotes featured job offers, lists of categories and other services from StepStone (which includes the blog articles). Once in the job listing, the filters (the publication date, the language, the skills, the profession, the sector, the region, the city, the experience, the type of employment and full time or part time) appear on the left-hand side and the number of offers per subcategory are visible. The company pages can include job offers, an introduction, a logo and other images, a map and even ratings from users. The comment section on the pages really explains the culture and breakdown of the company in detail. The job board objective: StepStone has the same goal in all of the countries where it is present: it aims to help businesses grow and find the best talent on the market. Recruiter observations: Prices are available on the website. It’s easy to create an account through the site. Jobseeker observations: It’s easy to create an account. To apply to offer, you must include a cover letter and a CV. The job offers: There are over 90 000 job offers. Most of them are for engineers, IT professionals and sales people. Reactivity: The team answers quickly (within 24 hours) and you can also contact them through chat support. Special features: The names of the team members; the press section; the whitepapers; the partner websites (in the footer); the blog (in different sections); job alerts; the app; the webinars & events; the chat support; company ratings; the comment section on the company pages. Login here for FREE to unlock access to the traffic audience, content and pricing section for more information on StepStone. StepStone works with high-profile partners from the individual fields of employment on creating and spreading the content for the target group channels. Numbering up to 300, our cooperation partners enable your online StepStone job ads to be published free of charge on other websites like welt.de, abendblatt.de or handelsblatt.com, as well as on the online portals of up to 50 universities and universities of applied science. Very disapointed with the after-sales service. They clearly do not value their customers, probably due to the fact that they currently have a kind of monopoly in Germany. They know that most of their customers have to stay with them because competitors are not strong enough. Really not the best way to build quality relationships with new customers. We will not repeat the experience. 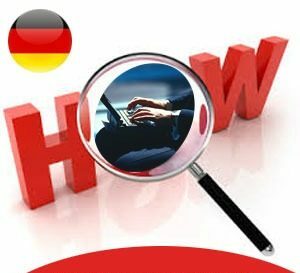 How to recruit in Germany?